Twelve years ago, Syracuse Yankee Bud Poliquin was changed forever in King Auburn’s Court or something. 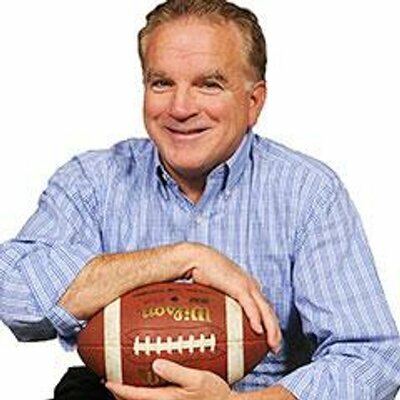 If history is any indication, Syracuse.com’s Bud Poliquin may have just written the second-most popular column of his career. Because it’s basically a cut ‘n’ paste Hey, remember this? repeat of what he says is “without a doubt” the most read thing he’s ever written, the column he wrote after returning home from covering the visiting Orangemen’s triple-overtime loss to Auburn in 2002, the column people are still talking about and forwarding around and posting on message boards and Facebook and even framing 12 years later—Auburn people, at least. “So when was the last time you heard from one,” I ask him. Put quotes around all that and hit enter—Google stops counting at around 33,200 results. Poliquin says he stopped counting the letters and emails at around a thousand. He still has a shoebox stuffed with the good ones, the ones from people saying his column brought comfort to sick relatives, from people saying what he wrote was exactly how they felt at their first Auburn game. And then there are the invitations. When I suggested the response was similar in style to the treatment given a newly converted Christian, Poliquin laughed in agreement. But his original column basically reads like a testimony—here’s an unchurched Yankee coming into the fold, discovering there was infinitely more to football life than whatever the desolate Carrier Dome had to offer (“Um, let’s see. We can’t fill 49,000 seats.”). “I think people were eager to validate my experience by telling me their experience,” he says—eager enough to drop him a line from the bottom of the earth. Poliquin says he later he wrote a follow-up on the overwhelming response he’d received about the Auburn column, about how he’d heard from Auburn fans on every continent except one. A week or so later, a letter showed up on his desk from a US serviceman claiming to be stationed on a ship off the coast of Antarctica thanking him for what he’d written. Poliquin says he couldn’t believe it. But there was also a photo. Was it real? Photoshopped? Related: Big Bang: Iron Bowl column sets readership record for Stanford’s student newspaper. Great stuff. I remember first reading that article and just thinking he hit the nail right on the head. Leaving the stadium at 12:45 that night was a weird but good feeling… fresh off a win. Glad you caught up with him. Seems like a good guy. My name is Jeff Grygiel former PGA TOUR PlAYER looking to talk to Bud about an article he wrote about me in 1985 when i qualified for US OPEN headline “Grygiel’s Goal 4 69’s and a win ” my # is 315-920-8312 PLEASE have him call……….